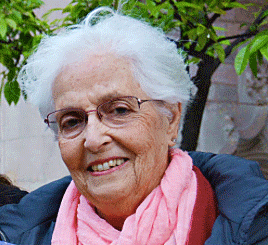 Montserrat Trueta i Llacuna died peacefully in Barcelona on May 4, 2018. 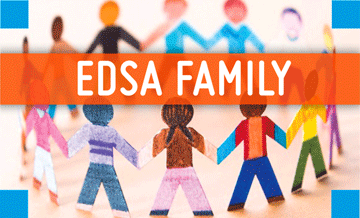 She was one of the founders of EDSA in 1987. Since all these years she has been fighting for a better lifequality for persons with Down Syndrome. Montserrat Trueta i Llacuna was the patron founder of the Catalan Private Down Syndrome Foundation, a reference point for families and professionals, in both medical, educational, social and professional aspects. The Foundation offers its services to over a thousand families in both psycho-educational and social aspects, and boasts the first preventive medical centre in the world. Her legacy has improved the lives of many families. We have attached this obituary, should you wish to contribute to disseminate her memory. Montserrat Trueta i Llacuna was the second of the three daughters of the famous Catalan surgeon Dr. Josep Trueta, and his wife Amèlia Llacuna. She spent her early years in Barcelona, at a boarding school in Italy (from 1936) and, from 1939, in England. She began a BA in Biology at the University of Oxford, but broke off her studies after marrying Ramon Trias Fargas – whom she accompanied in his outstanding academic and political career until his sudden death during an election rally in October de 1989 – and settling back in Barcelona. She had four children who all survive her: Toni, Katy, Mireia and Andy. She also leaves behind her beloved companion, the US academic Lowell Lewis. One of the turning-points in her life was the birth of her youngest son, Andy in 1972. He was born with Down’s syndrome, and Montserrat “accepted the diagnosis but not the daunting prognosis that accompanied it”. Not giving in to local medical advice she visited specialist Val Dmitriev from the University of Washington and began to apply early stimulation techniques. She took up her university studies again and completed a degree in Clinical Psychology at the University of Barcelona in 1986. 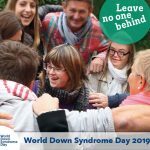 In the absence of a well organized system for supporting families, she founded in Barcelona the Catalan Down Syndrome Foundation in 1984 with her husband, and at the time of her decease she was still the chairperson of its Board of Trustees. 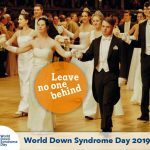 The Foundation has become a reference point for families and professionals, in both medical, educational, social and professional aspects, and continues to improve the quality of life of persons with Down Syndrome. It offers its services to over a thousand families in both psycho-educational and social aspects, and boasts the first preventive medical centre in the world. Montserrat was a “brave, determined” woman in her pioneering crusade to give her son Andy and others like him “as autonomous a life as possible” and developed a close relationship with leading scientific figures throughout the world. She was proud her son Andy has been living an independent life, with his wife, for fifteen years, and is a full-time employee of the foundation of a bank. In 1992 she received the Creu de Sant Jordi from the Catalan Government (Cross of Saint George) «for her great contribution to the social integration of people with disabilities» and in 2004 the Gold Medal of Honour of the Parliament of Catalonia “for her work in improving the quality of life of people with Down syndrome and for their contribution to the social integration of people with intellectual disabilities”. In 2008 she was awarded the Cruz de Oro de la Orden Civil de la Solidaridad Social. These awards were a public recognition of her social and political commitment to human rights and justice. The baton she leaves in her aim for the “total inclusion in society” of people with syndrome Down and other intellectual disabilities will be enthusiastically taken up. Nevertheless, she will be sorely missed by all who had the good fortune to meet, admire and love her.